Take on a ruthless criminal empire to save your family in this spectacular PlayStation VR action thriller. Put on your PlayStation VR headset and become elite Special Forces soldier Ryan Marks in a hard-hitting shooter with all the explosive action and drama of a Hollywood blockbuster – inspired by PlayStation VR Worlds’ massively popular ‘The London Heist’ experience. Full of epic gun play and explosive set pieces, this exhilarating adventure fires you into a desperate mission to save Marks’ loved ones from a cold-blooded criminal overlord. Use your special training to scale buildings, infiltrate secret facilities and wreak havoc using a variety of powerful firearms against countless armed thugs. Discover what it feels like to be front and centre in immersive and dazzling set pieces, as PS VR lets you feel the vibrations of your weapons, reload your gun with both hands as if you are really gripping a weapon and push buttons exactly as you would in real life. Get pulled into an engrossing story developed in collaboration with Hollywood based story talent, full of high-speed car chases, intense helicopter battles and stylish corridor battles. Rampage around modern day London, against the unique mashed-up soundtrack of classic movie orchestral scoring and London grime, composed specially for the game by leading artists. The London Heist was just the beginning. 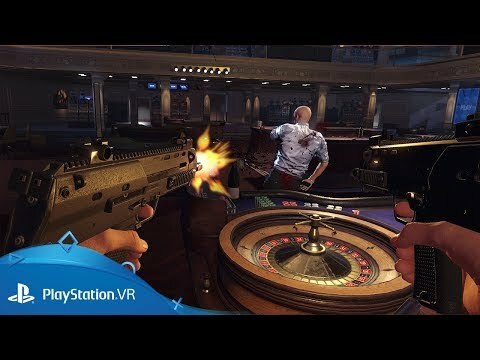 Inspired by this popular breakout experience in PlayStation VR Worlds, Blood & Truth takes The London Heist’s gangland shoot out, high-speed getaway and intense interrogation scene, and ramps up the excitement and action in every way. Immerse yourself in Ryan Marks’ perilous mission with intricate gunplay, huge set pieces and the ability to choose how you progress through the many different locations, from tower blocks and dark alleys, to glitzy penthouses and lavish casinos. A battle hardened veteran of numerous tours, elite Special Forces soldier, Ryan is professional, focused and tenacious. But with the unexpected death of his gangster father, Ryan finds himself facing his biggest challenge yet back on his home turf of London, with his family locked in the crosshairs of a ruthless rival firm. Kayla’s history is blotted with mystery, but one thing is certain – she’s not a person that you should cross. Possessing high-level military training, Kayla is an important part of Tony Sharp’s crime lord outfit, and utterly ruthless in the pursuit of her agenda… an agenda that only she appears privy to. Discover how explosive PS VR shooter Blood & Truth is fusing the best action movies together for an unforgettable experience. Pre-order from PlayStation Store now to get a digital art book, digital soundtrack and three avatars for your PSN ID. 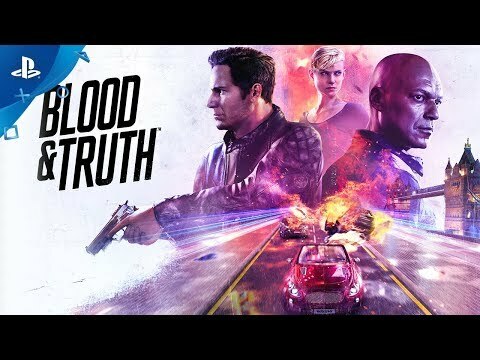 Download Blood & Truth on PS4. Salutations! Last week, the PlayStation Blog team journeyed to the exotic land of San Francisco to attend a hands-on event featuring a bundle of upcoming PlayStation VR experiences, many of which had just been announced during our first episode of State of Play. We were plenty impressed by the lot of ’em, but we found […] The post Hands-on round-up: 5 huge upcoming PS VR games playtested appeared first on PlayStation.Blog.Europe. Last week, I got to be an action movie hero. 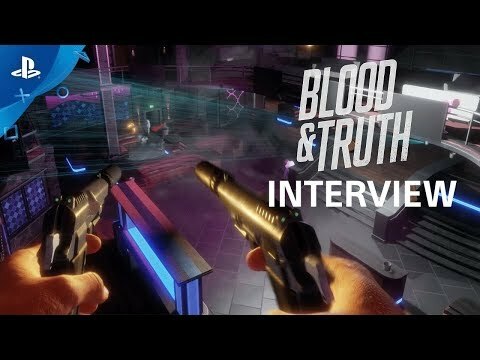 More specifically, I attended a PS VR demo event and strapped into the world of Special Forces soldier Ryan Marks, living out what can only be described as an explosive action spree in Blood & Truth. 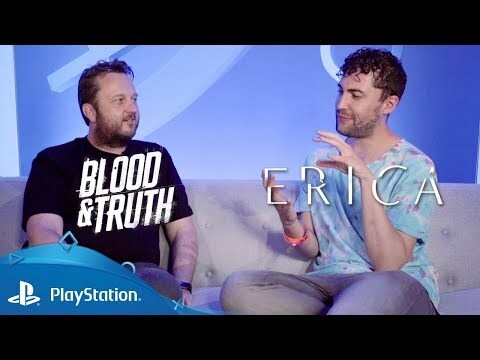 The London Studio blockbuster has come a long way […] The post Hands-on with Blood & Truth: How the PS VR blockbuster makes you feel like an action hero appeared first on PlayStation.Blog.Europe. Today, we are thrilled to announce that our upcoming PlayStation VR exclusive, Blood & Truth, launches on 28th May 2019. It’s an all-action first-person shooter that plays out amidst the grit and glamour of London’s criminal underworld, featuring outrageous set pieces, non-stop action and cutting-edge tech that gets the very best out of your PS […] The post Explosive PS VR blockbuster Blood & Truth release date confirmed appeared first on PlayStation.Blog.Europe.